I’ve always been creative. My sister and I get our creative genes from mum, (sorry dad!). Ever since we were little, we’ve written stories and plays, kept diaries, made comics, newspapers and magazines. For my 40th birthday mum presented me with a beautiful sparkly notebook and little handmade booklets about writing stories. That’s because she made me and my sister promise to write and publish a children’s story for her before she dies(! ), complete with our own illustrations. Let’s just hope mum’s got plenty of years left in her because she could be waiting a while! 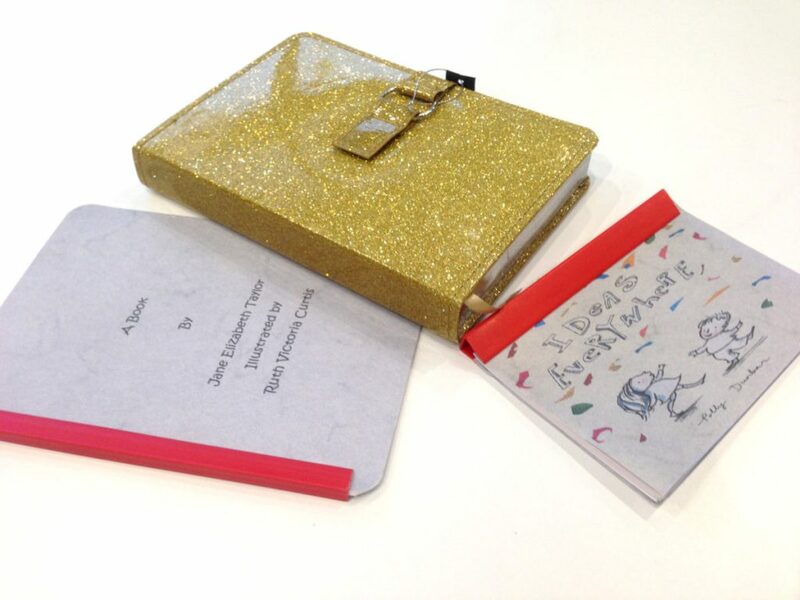 The sparkly notebook and guides on writing stories my mum gave me for my 40th birthday. Writing is something I’ve always come back to over the years, life permitting. I’ve attended creative writing classes and filled a shelf in our study with books about the art of writing and how to write. Mr T just wishes I would stop reading about writing a book and actually write a book so he can retire and live off the proceeds. ‘Patience, my precioussss’ (said in creepy Golum voice). Seriously, though, if Richard is hoping for me to publish a novel, let alone a bestseller, he’s going to be waiting for a very, very long time. However, in the last few years I’ve been writing fiction of another sort: fanfiction. It’s proved to be the perfect way to kick-start my creative writing. I’ve also discovered some incredibly talented writers through fanfiction, including Jenny, a.k.a. Whitewave42. Jenny and I are huge fans of the US cop show Rizzoli & Isles, starring Angie Harmon and Sasha Alexander and write fanfiction based on the show. I discovered her stories a few years ago and after commenting on one of them, we got chatting via the message system and she’s become one of my best friends. 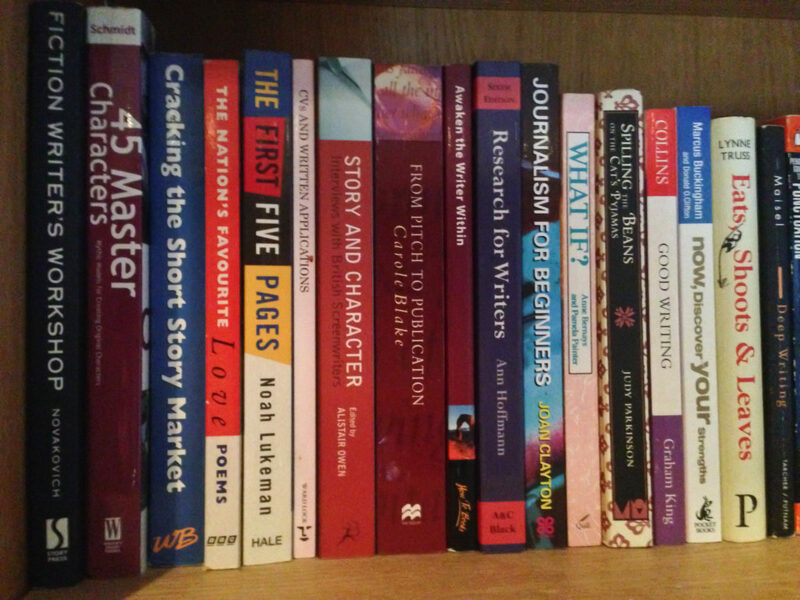 Some of my books about how to write a book! Fanfiction: Dipping your toe in the story writing waters. I discovered Fanfiction about three years ago whilst looking for articles about The Good Wife, one of my favourite TV shows. I spotted a link to the fanfiction.net website, clicked it, and was amazed to find thousands of stories based on The Good Wife, as well as millions more based on other well-known films, books, TV shows and comics. For the uninitiated, ‘fanfiction’ is defined as stories written by fans based on TV series, movies, comics, books etc., where existing characters and situations are used to develop new plots. In the past, I struggled to write original stories, mainly because there was so much you needed to think about before you could put pen to paper: creating new characters; setting the scene; building worlds for them to inhabit. That’s why fanfiction is such a great introduction to story writing because you can write about characters and settings that already exist. What’s more, because you’re a fan, you’re already familiar with the characters too, which helps. 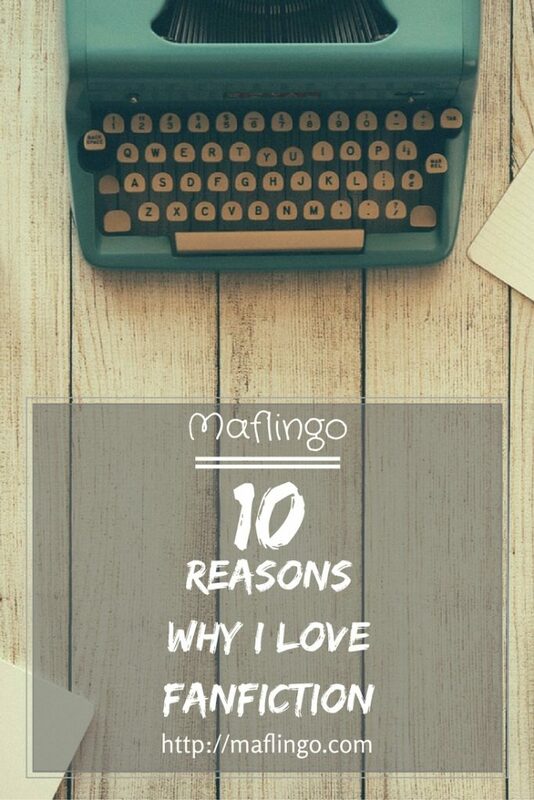 10 reasons why I love fanfiction. 1. The hard work’s been done for you. Because fanfiction is based on existing TV shows, films, books and comics, the characters and scenes have already been created. You can just take hold of your favourite characters and let your imagination do the rest. 2. You know and understand the characters already. As a fan, you already have a really good idea how your characters will act and react in certain situations, making the writing process easier. 3. You can have fun with your characters in an Alternative Universe (AU). You don’t have to limit yourself to the world your characters usually inhabit. For example, why not give James Bond superpowers or propel the characters of 1960’s show Mad Men into the present day? 4. Crossover stories (Mash-ups). This is where the fun really starts because you can make two different story universes collide. What if Alicia from the Good Wife is bitten by a Twilight Vampire? What if Spiderman turns up during a CSI investigation? There are some fantastic, inventive cross-over fanfiction stories on fanfiction.net. 5. 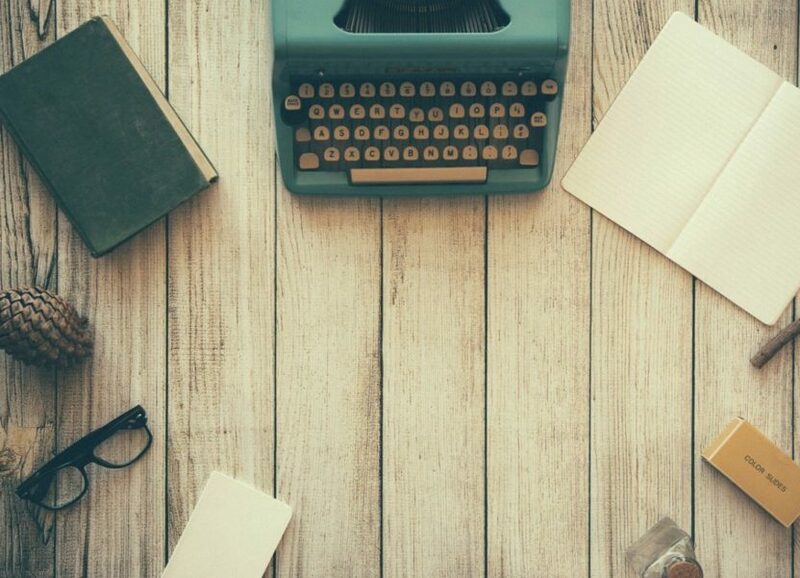 You can write short stories or an entire novel. Whether you’re planning on writing a short story or a full-length novel, anything goes in the fanfiction world. I’ve written some short stories (‘one-shots’) based on The Good Wife and Rizzoli & Isles and I’m almost finished a Rizzoli & Isles story which has 41,000 words so far. My friend Jenny (who I met via the fanfiction.net website), has written 8 stories, ranging from 80o to 160,000 words. Another advantage of fanfiction is that unlike writing a novel for publication, you can post new chapters of your story as you go along, rather than wait until you’ve finished it. 6. Feedback, reviews, favourites and follows. Like blogging, people can comment on your stories and leave reviews. It’s a wonderful feeling when you’ve wrestled with a chapter, published it and someone leaves a great comment or encouraging feedback. You can also ‘follow’ and ‘favourite’ authors and stories you like, so you don’t miss an update or new chapter. 7. There’s a story to suit everyone. Just like books, there’s something for everyone. You can search the fanfiction.net database for stories based on TV shows, books, comics, films, plays, anime, games, cartoons. There are AU stories, crossovers, horrors, comedies and many more. I recommend choosing your favourite movie, book or show and then reading the stories that have the highest number of comments or ‘favourites’ first. 8. Make new friends. The fanfiction community is a very sociable community. As well as commenting and reviewing, you can join forums, chat about your favourite stories and shows. Furthermore, if you read something you love and have questions about it, you can contact the author via a Private Message too. 9. Collaborating. As well as reading and writing fanfic, you can volunteer to ‘edit’ or ‘Beta’ another author’s stories. This is one of the most enjoyable aspects of fanfiction for me. I ‘beta’ my friend Jenny’s stories, which also means I get to read the new chapters before anyone else does. Even though she’s a talented writer, and could write a great story without my help, we work really well as a team and think the stories are better as a result. Another fun way to collaborate is designing cover art for the stories. I’ve designed artwork for two of Jenny’s Alternative universe/Crossover stories on the fanfiction.net website, ‘Don’t Speak’ and ‘Playing with Fire.’ Jenny likes comics, so they have a comic book theme. 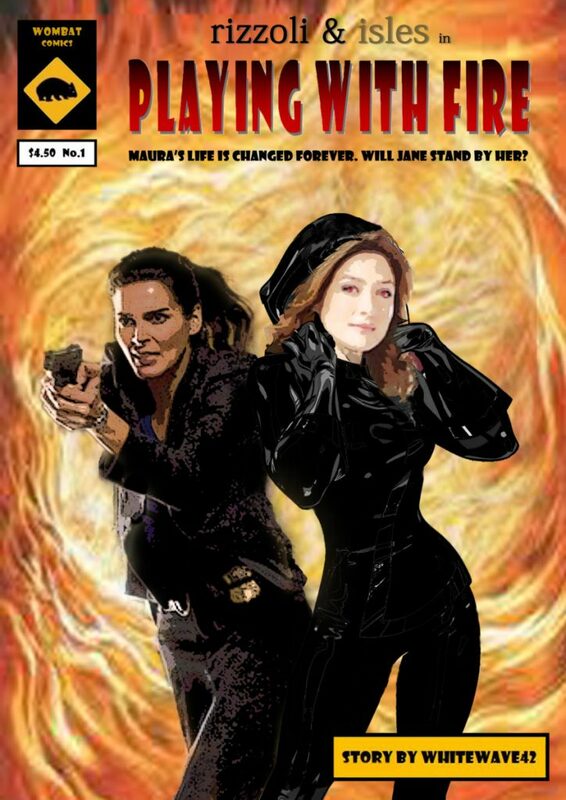 The Comic Style Artwork I created for author Whitewave42’s amazing Rizzoli & Isles Story ‘Playing with Fire’ where Maura is bitten by a vampire. 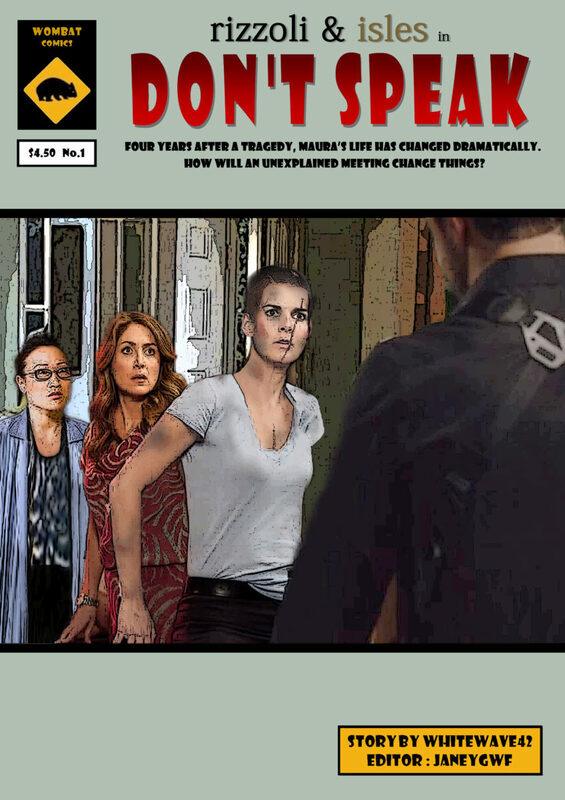 The Comic Style Artwork I created for me and author Whitewave42’s amazing Rizzoli & Isles Story ‘Don’t Speak’…I used Photoshop to give Angie Harmon a bald head! Sorry Angie. 10. You can check out your story statistics! Once you’ve published a chapter or story, you can look at the statistics. You can see how many people read your story/chapter every day, how many people ‘favourite’ you or your story, follow you or your story, or comment on your stories. Have you heard of fanfic or read any fanfiction stories? If not, have I persuaded you to check out fanfiction.net or have a go at writing your own fanfiction story? 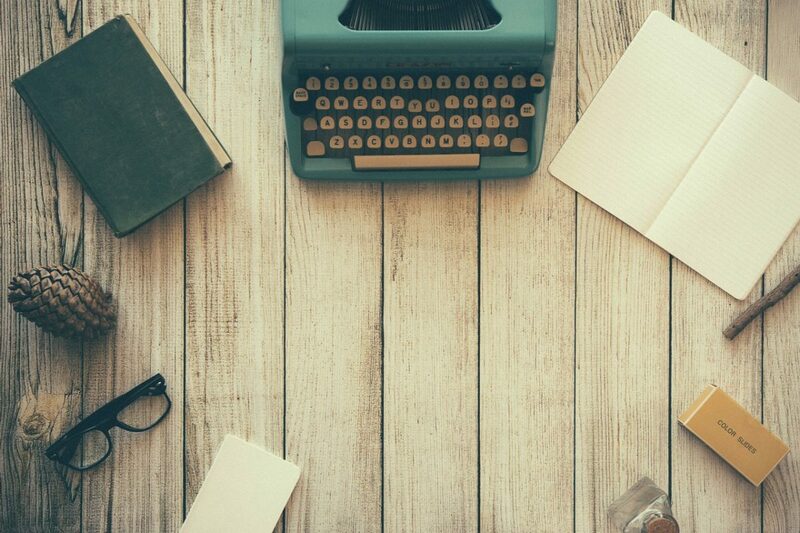 Have you written a story or a novel? Have you published anything? As always, I’d love to hear from you. On blogging and being thankful. It's five months since I started my blogging adventure. It seems like a good time to reflect on life after pharmacy and tell you why I'm a thankful blogger. 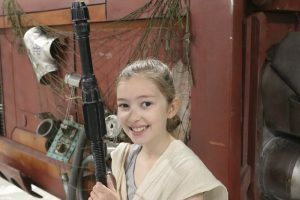 Find out about Emily's visit to her first convention, The Film and Comic Con Manchester and why I'm relieved she decided to go dressed as Rey from Star Wars: The Force Awakens. 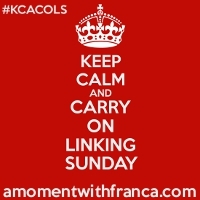 Have a go at fanfiction, or go to inkitt.com which has general fiction you can publish on there and there are competitions too! Yay! A fellow fanfic fan! Get it published! Go on! I’m really glad I’ve introduced you to fanfic! I hope you’ll have a go at writing something too! So glad I’ve been able to introduce it to you, Sarah! I haven’t wanted to write in my notebook yet because it’s so nice! Fanfiction is a great way to kickstart your writing. Fifty Shades of Grey started life as Twilight fanfiction I believe. PS I love your sparkly notebook. Hope you fill it with lots of stories soon. Thanks so much for the lovely comment. I really should start writing in my notebook…but it’s too nice! Go for it! Honestly, it’s really good fun! Oh, there’s something of interest for everyone on that website…Every now and again you find some hugely talented writers! 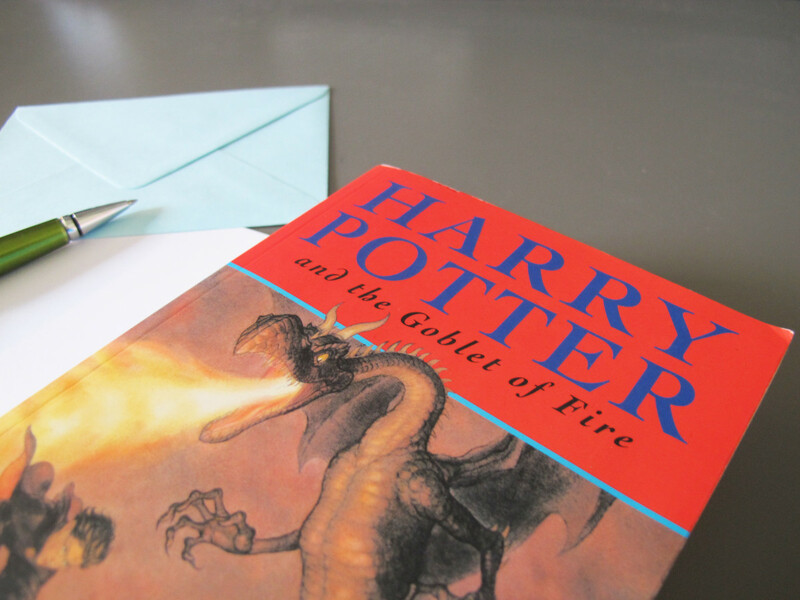 I used to read quite a bit of fanfiction, but I was never brave enough to write any myself. I just don’t get much time for it now. I like the covers you designed. Thanks, Ali.It’s scary when you first put something out there for people to comment on, but exhilarating too. Rizzoli and Isles has been on my ‘to watch’ list for ages now, I really need to get around to it! Aw, Jess! Rizzoli and Isles is all about girl power!Two brilliant female leads…The books are great too but very different. Please watch them and tell me what you think. The last ever episode (season 7) finished a few months ago. So sad! But they live on in fanfiction. I’m so delighted you are a fanfic fan too. Thanks for stopping by. Thanks Claire, that’s lovely of you to say. I just wish it didn’t take me so long to write, though! I’d be too old to enjoy the proceeds if I did ever finish a book! Aw, I’m no expert but in the multichapter one I’ve been writing, I can see the improvement as I go along! I wish I could go back and change the first chapter as it is a bit too melodramatic! Thanks, Sunita! I recommend having a look!